Whether you have been injured on the job or due to another’s negligence or misconduct, you probably have a lot of questions and concerns about how to successfully pursue a claim for compensation. 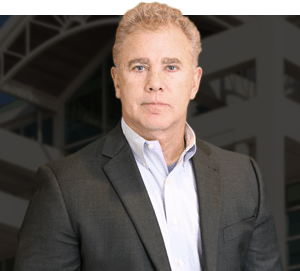 Attorney Gary Fillingim has been handling claims like yours for more than two decades and is prepared to answer your questions. Below are some of the more common questions we frequently hear as we help people like you with injury claims in Mobile, Baldwin County and the Alabama gulf coast. If you have other questions or need immediate assistance with a Mobile car accident, workplace injury or other personal injury, call the Law Office of Gary W. Fillingim at 251-445-7257 for a free consultation. Q. How do I know if the insurance company is offering me a fair settlement? A. If you haven’t yet retained legal representation, any offer from the insurance company is likely far below what your case is actually worth. Insurance companies know that after an accident you are hurting and are worried about how you are going to pay all your bills, especially if you are seriously injured and are missing work. They may be very quick to offer you a cash settlement, but once you accept their check, you have given up your rights to sue them if you later find that your expenses far exceed what they gave you. Talk to an experienced personal injury attorney before you sign any papers or accept any offers. Most personal injury lawyers will not charge you any fee to look into your case and give you their opinion about what you should do. Q. I may have been partly to blame in causing the accident. Does this mean I cannot recover? A. Alabama is one of only very few states to use the doctrine of contributory negligence, which means that if you are partly at fault in causing the accident, you cannot recover any compensation from the other party, even if their role in causing the accident was far greater than yours. Don’t let the insurance company tell you who was to blame, though. Take your case to an attorney who will independently investigate the accident and protect you from attempts to unfairly blame you for causing an accident which wasn’t your fault. Q. If I was hurt in a car accident and wasn’t wearing a seat belt, does that mean I was negligent and cannot recover? A. Seat belts save lives and can help protect you from more serious harm in many types of car accidents. However, your own injuries in a particular car accident may or may not be worse because you weren’t wearing a seat belt. Alabama law clearly states that failure to wear a seatbelt “shall not be considered evidence of contributory negligence and shall not limit the liability of an insurer.” Talk to an attorney about your potential car accident claim. Q. I’m not sure if I can afford an attorney to represent me. A. Many personal injury attorneys, including at the Law Office of Gary W. Fillingim, L.L.C., accept cases on a contingency fee basis. This means that you do not have to pay any money up front. Your attorney will advance all the costs of the lawsuit, and you will only have to pay those costs and attorney fees if your case is successful. The attorney’s fee will be paid out of the judgment or settlement, as a percentage of the recovery which you and your attorney agree upon at the start. Despite the bad reputation pinned on them by insurance companies and their lobbyists, personal injury lawyers believe in justice for the injured. Taking cases on a contingency fee basis allows everyone to have access to high-quality legal representation regardless of their ability to pay, and further motivates the attorney to obtain the best possible result in your case. Q. Can I sue my employer for my on-the-job injury, if I believe they were responsible for the accident? A. No. Alabama is one of about ten states that currently does not allow a worker to sue an employer for a workplace accident, even if the employer’s own egregious negligence was responsible. Your only option is to file a claim for benefits from the Alabama Workers’ Compensation system. However, if the workplace accident was caused by some third party , you may be able to sue that individual or business, in addition to filing your workers’ comp claim. Q. What if the workplace accident was my own fault? Will that doctrine of contributory negligence keep me from workers’ compensation benefits? A. The question of fault is not applicable in Alabama workers’ compensation law, so your own negligence won’t prevent you from filing a claim and obtaining benefits. However, you may be kept from recovering if the accident was caused by your willful misconduct or intoxication, or if you intentionally caused the accident which brought about your injury.